"We are either a team or we're not, and we have to make that decision," Pelosi said, two people who were present told the Washington Post. Ocasio-Cortez, who routinely wields her massive social media following to pressure her establishment colleagues into supporting her agenda, sought to add force to Pelosi's call for unity by threatening to expose to the ire of progressive activists any Democrats willing to compromise with Republicans. 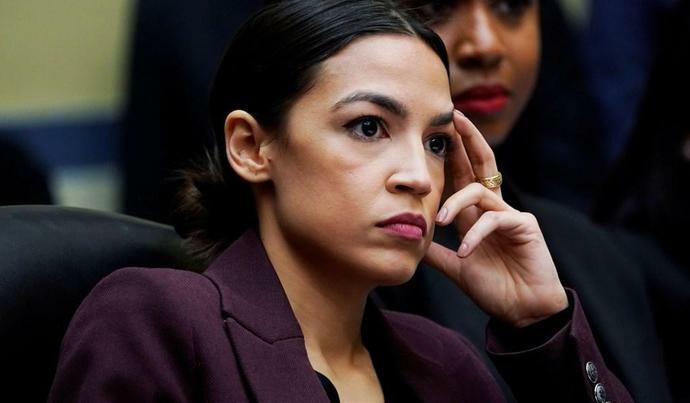 Corbin Trent, a spokesman for Ocasio-Cortez, told the Post that any Democrats who cooperate with Republicans "are putting themselves on a list." "She said that when activists ask her why she had to vote for a gun safety bill that also further empowers an agency that forcibly injects kids with psychotropic drugs, they're going to want a list of names and she's going to give it to them," Trent said, referring to U.S. Immigration and Customs Enforcement. The rift between the establishment and the younger, more progressive wing of the party was brought into sharp relief this week moments before the House passed legislation that would require a federal criminal background check for all gun purchases, including private transactions. While the bill's passage represented a significant victory for the Democratic majority, the inclusion of a provision that will facilitate deportations at the hands of ICE agents incensed progressives, many of whom have called for the agency to be abolished.